1. Login to Windows 7 . 2. Type ‘gpedit.msc’ in the Run. 4. 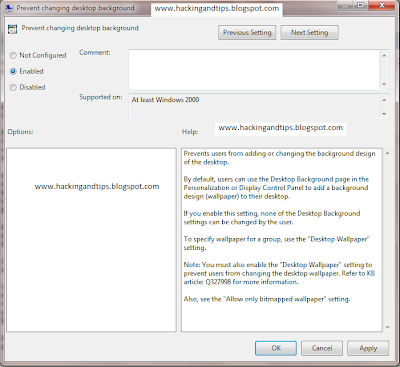 In the right pane, double click on “Prevent changing desktop background”. 5. 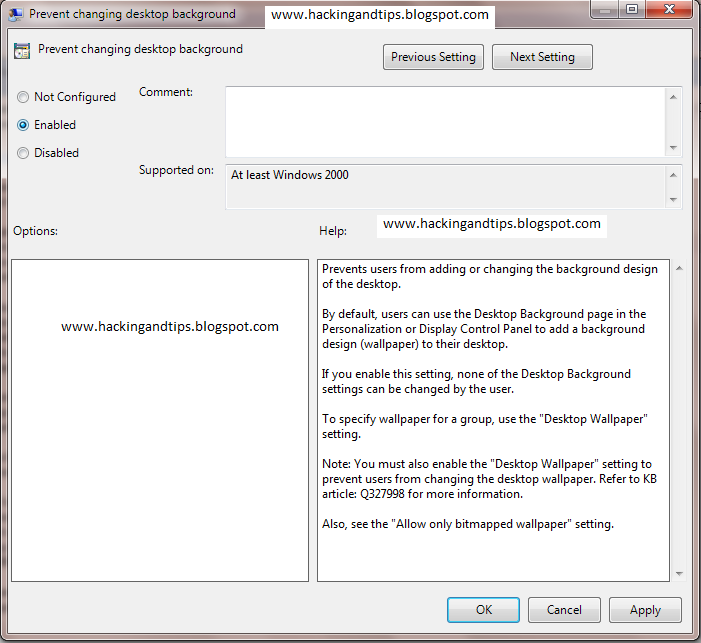 In the “Prevent changing desktop background” window, select “Enabled” option. 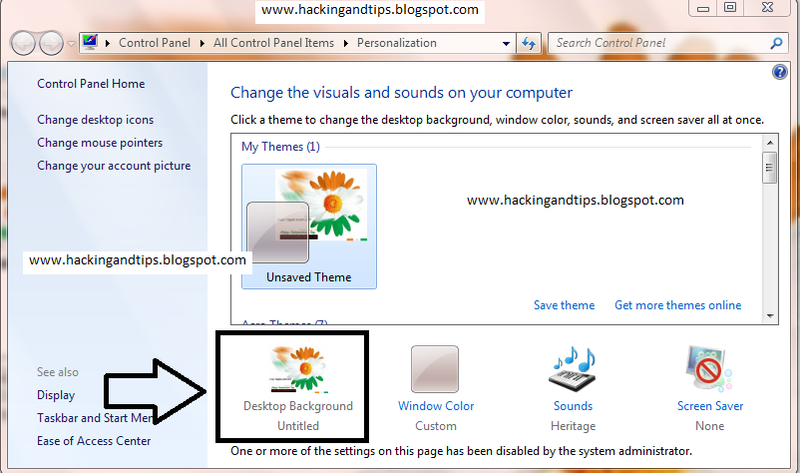 To check whether what you have done is working, right-click on desktop and choose “Personalize”. The option “Desktop Background Slide Show” will be grayed out. Also right-click on any image and “Set as desktop background” will do nothing. 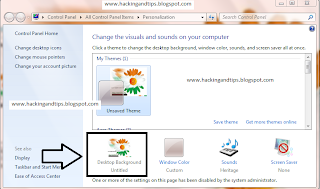 To enable changing the desktop background image again, follow the same steps. Except in step 5, choose option “Not Configured” and Click OK.